East Coast Charm Meets West Coast Weather! This home by Summerhill offers two master suites and an open layout with a loft-style dining room overlooking the formal living. The room adjacent to the kitchen offered a den or third bedroom option, and is currently being used as a den but may be converted to a third bedroom. The kitchen features granite countertops and stainless steel appliances, including a state-of-the-art Wolf gas range that will sing to your inner chef. The laundry room at the top of the stairs features high-end Miele W/ D and the large windows bring in an abundance of natural light. Spend your days in your generous private patio space with the lush green backdrop of Cahill Park -- this unit is in a premium park-facing location in the community! Enjoy the convenient location of being walking distance to the Caltrain Diridon Station, LightRail, Amtrak, ACE, Bus Lines, SAP Arena and Whole Foods, with easy access to highways 880, 280, 17, and 87. Enjoy everything the Rivermark area has to offer! Featuring a bright and open plan with three bedrooms and three full bathrooms, new engineered Brazilian cherrywood floors, crown moulding throughout, designer paint, custom built-in cabinets in all closets, and water softener, this townhome is impressive, spacious, and just waiting for you to move in! The kitchen features granite counters, stainless steel appliances, and plenty of storage cabinets, and the master suite boasts a desirable walk-in closet, and ensuite bath with dual vanities. 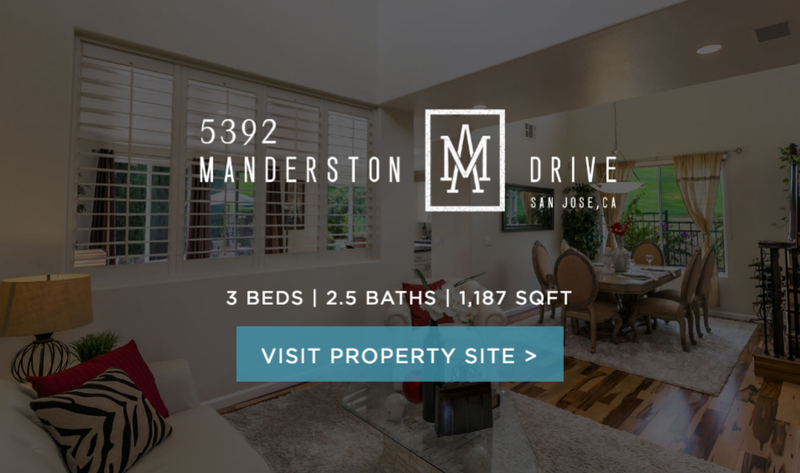 Enjoy the convenience of being within walking distance to award-winning Don Callejon School, Live Oak park, Northside Santa Clara library, Rivermark Plaza, Levi's Stadium, Oracle, and other high-tech employers. This stunning home is the epitome of luxury. Step through the granite entryway into a spacious living space with soaring ceilings and an abundance of natural light. The master suite features a granite bathroom, makeup vanity, jacuzzi tub and stall shower, as well as his-and-hers walk-in closets. The home also boasts fresh paint, new carpet throughout, as well as a granite fireplace, and laundry room with gas/electric hookups. You will also benefit from newly installed water-saving and low maintenance landscaping. You'll be the envy of all your friends when you call 122 Piedmont Road 'home'. Live in luxury with 24-hour concierge service, workout in the exclusive fitness center, entertain family and friends in the clubhouse, lounge by the pool and outdoor fireplace, or relax in the jacuzzi. With custom bamboo hardwood flooring, an upgraded kitchen with stainless steel appliances, pendant lighting, renovated bathrooms, open concept floor plan with room for office space, floor to ceiling windows, and an abundance of natural light, you'll love living the AXIS lifestyle. This stunning executive corner lot home is located in the enviable 'The Ranch on Silver Creek' community with sought-after Evergreen schools, and is walking distance to The Ranch Golf Club and Restaurant. Enjoy all the finer touches of elegance with a gourmet kitchen with granite slab counters, a Wolfe 6-gas burner range with two ovens, Sub Zero refrigerator, Bosch dishwasher, and butler's pantry. Entertain friends and family in the theatre room with surround sound, and enjoy summer outside in the inviting courtyard and spacious lot. The home also features three fireplaces, crown molding, hardwood floors, plantation shutters, and an abundance of natural light. Don't miss out on your opportunity to live in The Ranch and call Hill Top View Terrace 'home'! This beautifully upgraded Communications Hill condo has so much to offer! Featuring new paint, an upgraded kitchen with granite counters, stainless steel appliances, new light fixtures, and a new master bathroom shower. This unit has two bedrooms conveniently located at opposite ends of the condo allowing for privacy, peace and quiet. Enjoy two car parking spots next to the elevator and a separate private storage in your garage. Conveniently located near trails, shops and dining, parks and outdoor space and easy access to freeways, you'll love calling Grassina Street 'home'. San Francisco, open your Golden Gate... If you're going to San Francisco, be sure to wear some flowers in your hair... I left my heart in San Francisco... no matter how you view it, there's something magnetic and magical about the City by the Bay. Known for its cool summers, dense fogs meandering in from the ocean, rolling city hills, and turn-of-the-century-architecture-meets-modern-life, there is a reason thousands of tourists visit this great city, and why thousands more call it home.